I made up these little beauties a few weeks ago for my sister-in-law who was running a craft stall at a charity fair at the weekend. I’m not sure that nine little baubles will have made much of a dent in terms of making-an-entire-stall’s-worth-of-items-to-sell but, hey, hopefully they filled a small space somewhere. I followed a tutorial in the Guardian by Hannah of the wonderful blog Seeds and Stitches, which I first Pinned two Christmases ago and have been meaning to make ever since. It’s a great, simple, messy, very pleasurable project. 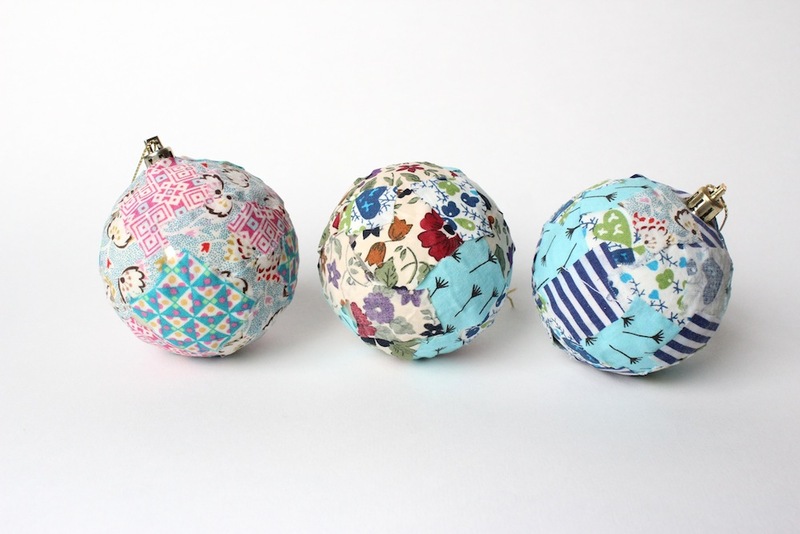 The only extra tip I would add is that you need far, far more fabric than you expect, so cut out loads of tiny squares first and then sit down for the glueing part. 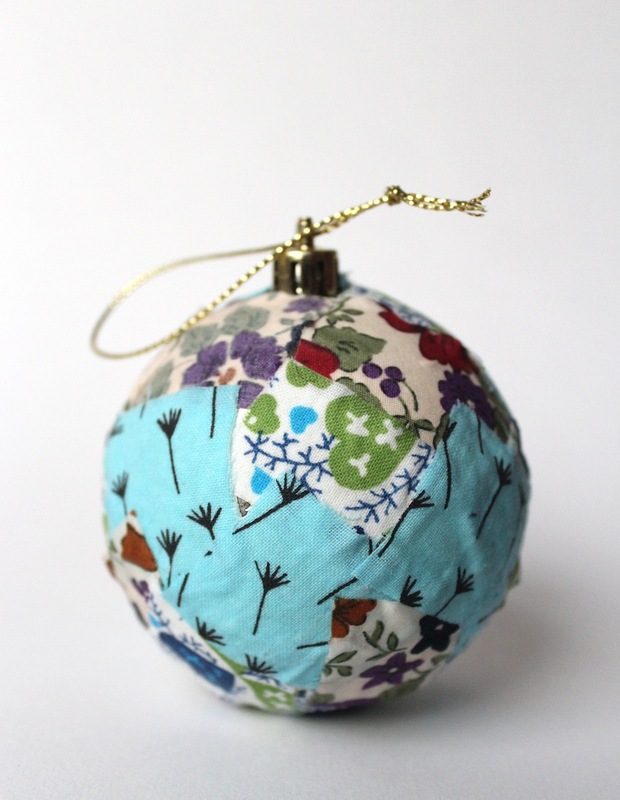 I seemed to spend most of the evening going to wash the glue off my hands when I discovered I’d run out of fabric mid-bauble for the hundredth time. I also didn’t worry about hanging them up to dry, just put them on a sheet of greaseproof paper and turned them over at sporadic intervals, which worked fine. 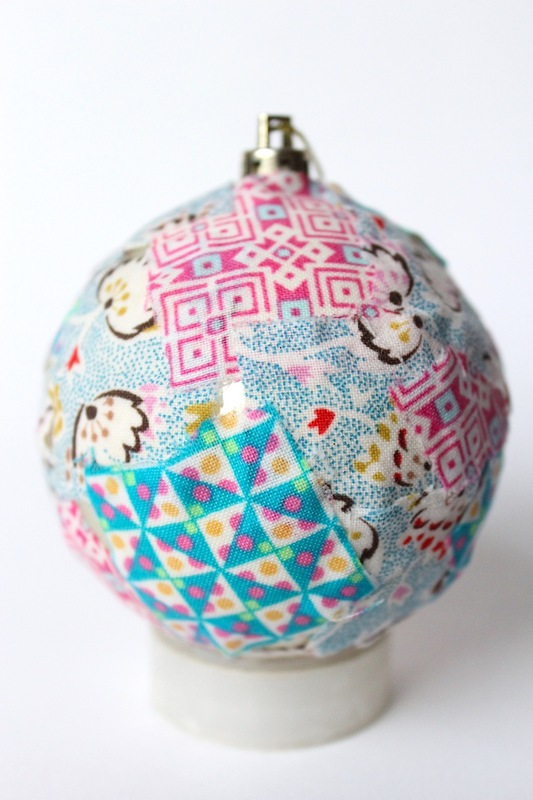 This weekend, I’m planning on making some more to adorn our very own Christmas tree. 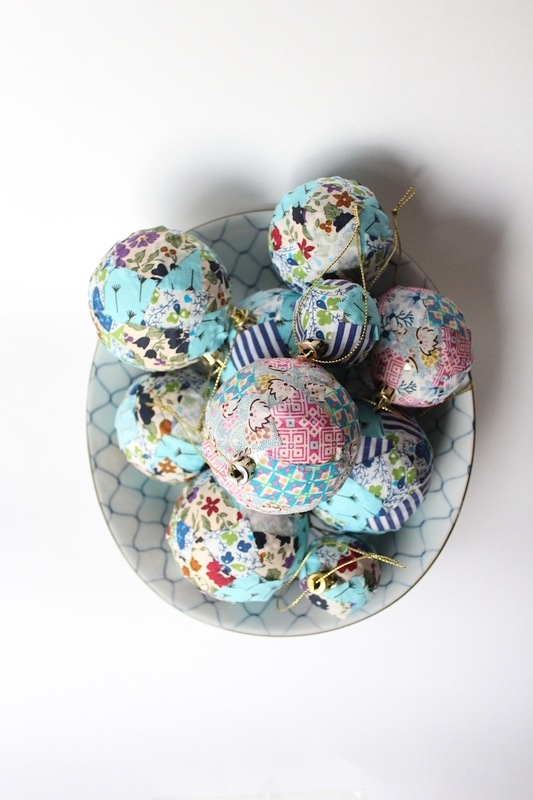 I’ve stuck the fabric to some cheap supermarket-bought plastic baubles, so the very best thing about them is that they’re sproglet-proof. Even if he managed to shatter them somehow, any sharp pieces would stay inside all the fabric, which is just the sort of Christmas ornament I need on my tree this year. Looking for something to do while you watch the TV this evening that’s really fiddly, will make you cross and leave you with an imperfect result? These three buttons at the front are made with some scraps of Liberty fabrics, left over from the quilt I’m making my sister. I spent last Saturday night watching The Voice (it’s not that good this year, is it?) and swearing throughout my second attempt at making fabric covered buttons. I only recently discovered that covering buttons with your own choice of fabric was something it was possible to do. When I first came across the little kits you can get, I had what I thought was a Eureka! moment. Because I want to make my own fabrics, and make things with those fabrics, I’m likely to have leftovers of scraps and small pieces. So, of course, the ability to use them for buttons seemed like the perfect situation. “Why doesn’t everyone do this?” I thought to myself, slightly smugly, marveling at my own genius and brilliance. So I ordered some of the relevant buttons. And tried to put them together a few weeks ago. No joy. Turned out you need a little stamping tool too. So I ordered that as well and felt convinced I was really on my way to a genius creation. So, there I was on Saturday, full kit in hand: two parts to the buttons, the button stamping tool, scissors and some scraps of fabric. In theory, it’s a doddle to put them together. You cut a circle of fabric, centre your button onto it, stick it in the button stamping tool, put the back on, then use the other side of the tool to click it into place. I watched YouTube videos. It was quite clearly going to be ridiculously easy. With the smallest size of buttons, everything gets really, really fiddly. You need to have the button centred perfectly onto the fabric, otherwise the fabric will slip out of one side of the button, or the back won’t click into place if you’ve got a bit of excess fabric in another place. I’m not the most patient person in the world for fiddly work and this made me swear quite a lot. So I only made seven buttons. They do look cute from the front though, don’t they? From the back, as you can see, the fabric isn’t perfectly in place though. Grrrrrrr. I’m going to order a bigger size of button now. I’ll let you know if I have better luck. You can see some of my first attempts at fabric designs: teapot fabric here and various mainly nautical fabrics here. Linking this up at Serenity Now, the Shabby Nest, the Shabby Creek Cottage and Beyond the Picket Fence. Head over to see what others have been up to this week. My visit before Christmas to William Morris at the Tate made me realise just how much I love floral patterned fabrics. Florals used to have a bit of a reputation as chintz, but you only need to take a look at some of the bold, bright William Morris patterns to blow that idea straight out if the water. I’d love to attempt a fabric design with a repeated floral pattern myself one day, but, frankly, trying to come up with a clever design that would match perfectly for all the repeats is enough to make my head hurt right now. Click on any of the pictures to go through to the relevant websites to buy the fabrics, if you’re so inclined, or just get more info. But I’ve finally settled on this Castile B Tana Lawn fabric. I love all the details in this: the spade and buckets, the weird frog-like creature, the snail. And I’m all about gardening right now, so seeing a representation in fabric couldn’t please me more. 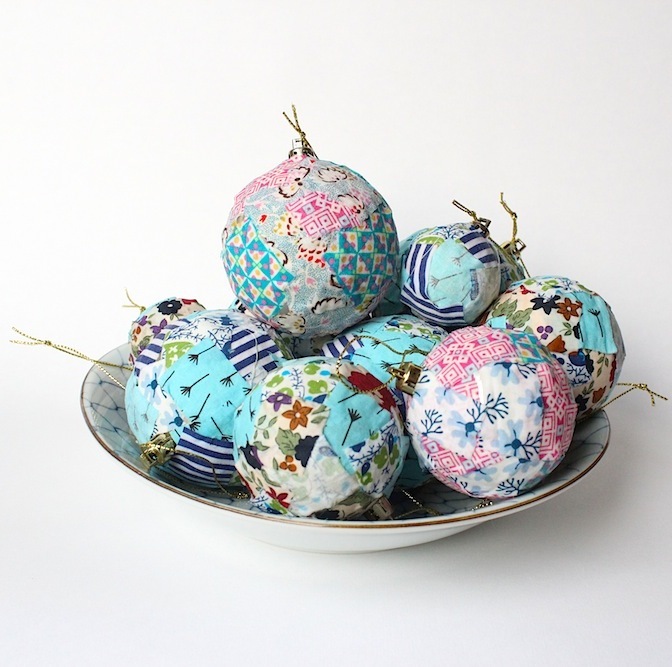 In a similar gardening vein, I discovered these gorgeous figs the other day, from Borderline fabrics in World’s End. There is something utterly succulent about this print, isn’t there? The lovely purple figs sitting alongside the fat leaves. I’d never heard of Borderline fabrics before, but the website says they specialise in fabrics for upholstery and curtains with designs produced from archive sources. Sounds right up my street, I might have to go and wander round the shop in the near future. If you’ve not heard of Florence Broadhurst (and I hadn’t til about, oooh, five minutes ago) she sounds just as fabulous as this pattern. She was born in Australia, performed on stage around Asia, founded an arts academy in Shanghai, then moved to London where she ran a dress shop in Bond Street as Madam Pellier, then returned to Australia and started a wallpaper business. I like the sound of this woman! There’s a full biography on the Signature Prints website: Florence Broadhurst. Have a read if you’re interested, and check out the amazing photos of her too. I love her hair almost as much as I love her designs. The V&A did a whole exhibition on quilts a few years back, which I didn’t manage to see as I wasn’t in the country at the time. I think it’s just called “Petals” – which is as sweet a name as the pattern itself. I’m working on a quilt for my sister that has this fabric in it, so I’ll share more pictures once I get that finished. From something small, delicate and old-fashioned, to something big, bold and 1960s-looking… This is called Sunflower in Sunglow and is by Joel Dewberry. Makes you want to dance round outside naked singing songs from the 60s, doesn’t it? Doesn’t it? I first saw this fabric on the blog Delia Creates, where she used it to re-cover a chair. (I know I mention that blog a lot, I’ve got something of a blog crush going on…) When I read the post I wasn’t sure what I wanted more: the amazing re-upholstering skills she displayed or the fabric she used. This is just so cheerful, retro and bright that you couldn’t help but smile if you sat down on a chair made of this fabric, could you? So, there you have it, five floral fabrics. I was originally planning on sharing ten, but I think this post is quite long enough now, so I’ll return for a part two at some point in the future. In the meantime, you can take a look at my Pinterest board fabulous fabrics if you want to see more gorgeous designs. Just a quick message to everyone arriving at my blog today: please excuse its squiffy appearance! As far as I know, my blog hasn’t been out drinking late last night and isn’t suffering from a hangover. No, I think instead there is some problem with WordPress, which is causing my footers to show on the right hand side, and those ugly blue and black horizontal lines to be showing up half way down the page. I’ve just been visiting the WordPress support forum and lots of people appear to be having problems today, so let’s hope they fix it up soon.